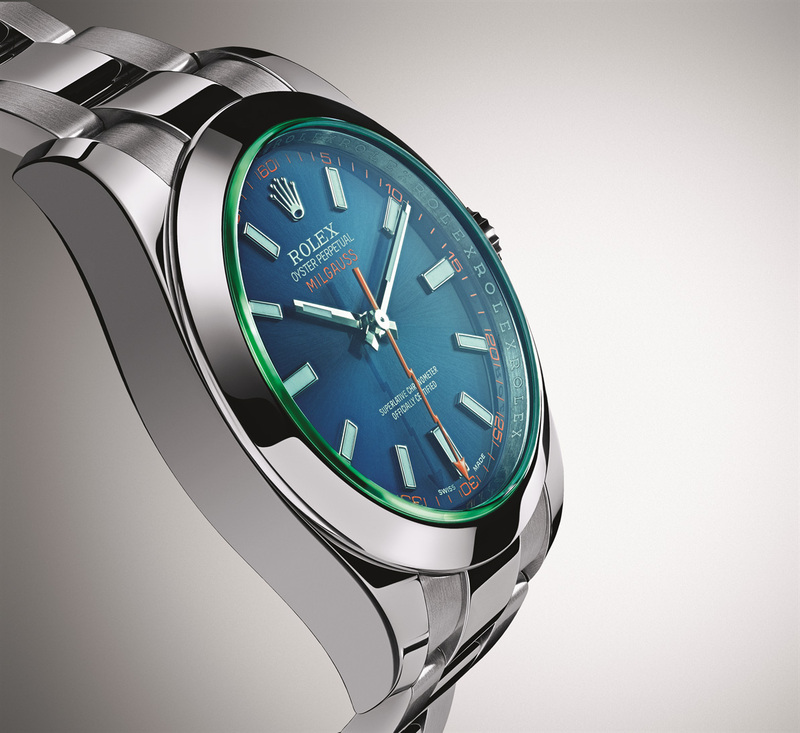 Rolex has just taken the covers off the latest version of the Milgauss, combining an electric blue, metallic finish dial with a green tinted crystal and orange accents. Launched in 2007 with either a black or white dial, the Milgauss was nonetheless the most colourful steel Rolex sports watch. 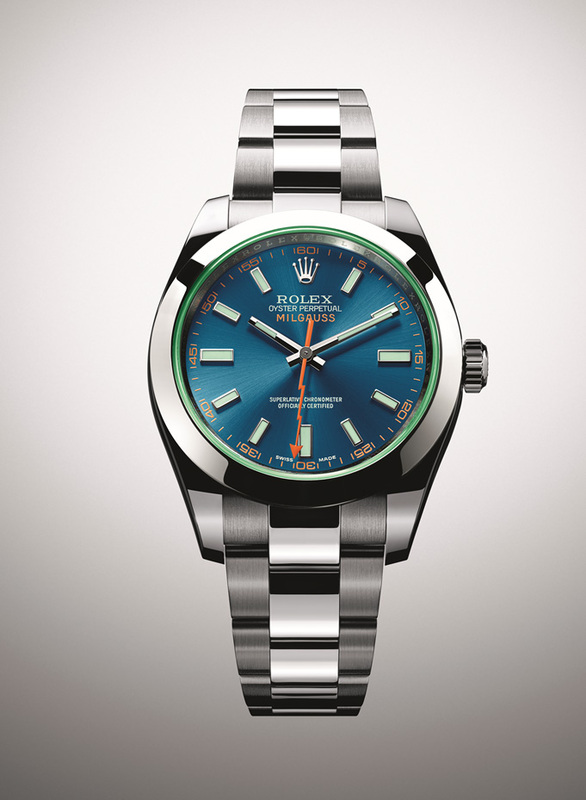 Rolex has gone even further with the new Milgauss Z Blue (ref. 116400 GV), just presented at Baselworld 2014. Termed the Z Blue for the zirconium used in its coating, the blue dial of the new Milgauss is bright, electric blue. Like the other Milgauss models, the new blue version has orange accents on the dial, namely the seconds hand and minute markers. This is combined with the green tinted sapphire crystal used on the first Milgauss 116400 GV (“GV” stands for “Glace Verte” or green glass), resulting in a strikingly adventurous colour scheme. 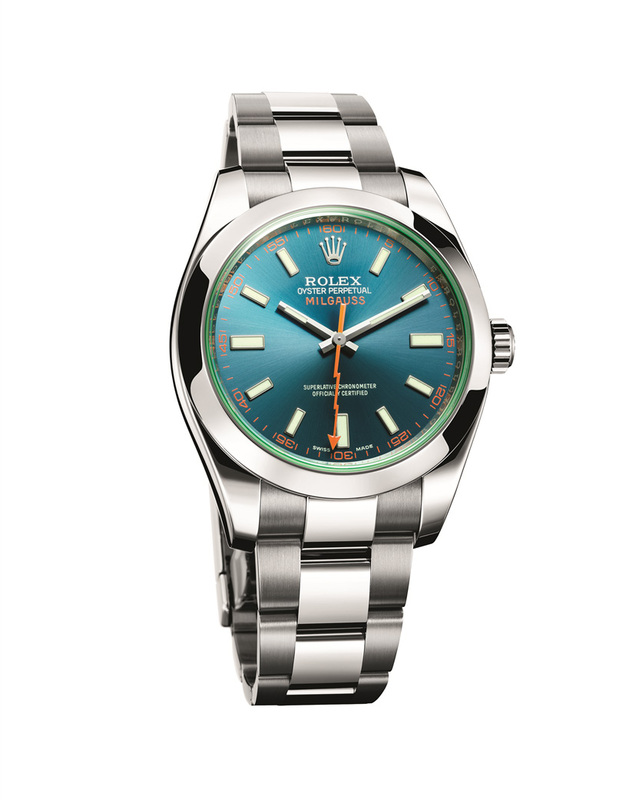 In all other respects the new Milgauss is exactly the same as the current models. The steel case is 40 mm in diameter, with an Oyster bracelet. The name Milgauss comes from the French phrase “mille gauss“, which means 1000 gauss in English. To get there the cal. 3131 movement is encased in a soft iron cage, protecting it from magnetic fields. But the magnetism resistance extends to the key components of the escapement as well. The escape wheel is made from a nickel-phosphorus alloy manufactured with etching process known as UV-LiGA. The balance wheel is made from a niobium-zirconium alloy, while the hairspring is in Parachrom Blue. Consequently, all of these components are non-magnetic. 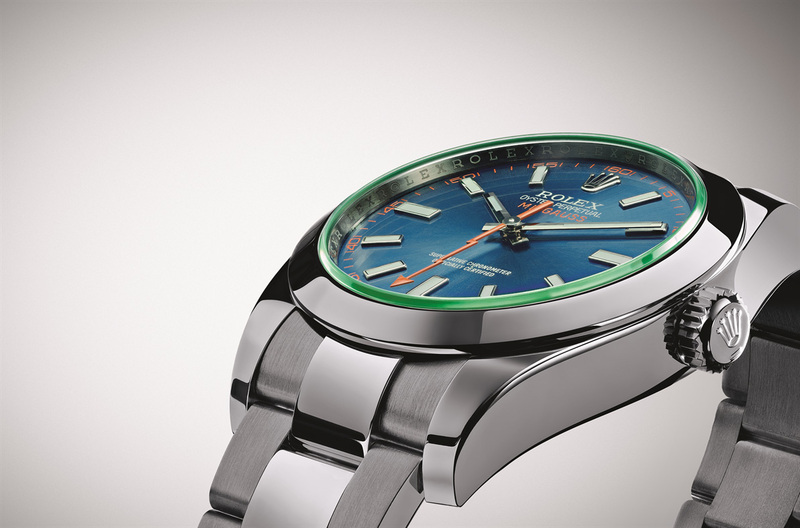 The Milgauss in blue will retail for 7800 Swiss francs, which is about US$8810.